Skip the process of driving around Las Vegas and picking up other guests, as this Hoover Dam Tour leaves from a central location and journeys straight out the dam. 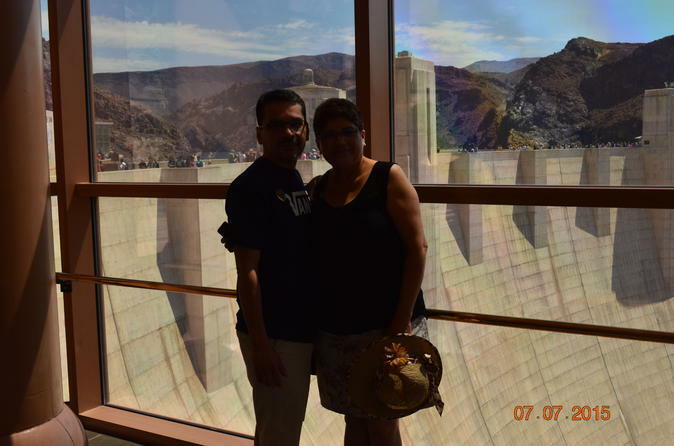 On the ride to Hoover Dam, your guide will inform and entertain you with info on the history of the dam, to the point where the drive will fly right by as you ride in air-conditioned comfort. This is the perfect tour if you want an entertaining trip that also teaches you about the dam, and maximizes the time spent visiting—rather than driving around. This isn’t the most in-depth dam tour but the Clark County Museum visit expands on the history of the area. Returns to select Las Vegas Strip hotels. 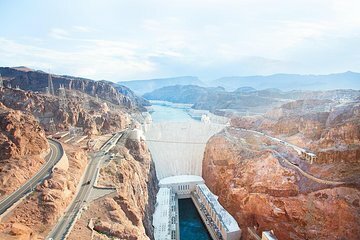 On this Super Hoover Dam Tour, visit Hoover Dam in air-conditioned transport on a short drive, which leaves from a central Las Vegas location as opposed to driving around hotels. On the drive to the dam your informative guide will offer entertaining commentary, and you’ll be amazed how much knowledge that one person can have. Upon arrival at the engineering marvel, you’ll visit the government visitor center and take part in the exhibit tour, where you’ll see photos from when the dam was built and learn who benefits from all the electricity being generated. Next, experience the thrill of walking on top of the Hoover Dam, during the popular 'Walk on Top' tour that takes place atop the legendary dam. When your mind feels like its about to burst with all your newfound knowledge, your guide will transfer you back to Las Vegas and is happy to answer any lingering questions you still might have about the dam. Your tour will end with a stop at the Clark County Museum to see a collection of restored historic buildings that depict life from different decades in Las Vegas and Boulder City. This tour is not recommended for anyone who suffers from claustrophobia, or has a pacemaker or defibrillator. Tours are conducted in confined spaces and in a powerplant with generators emitting electromagnetic frequencies.